The partnership will bring more fans than ever closer to the game, with multiple portfolio brands like our sparkling, fruit-based and no-or low-sugar drinks included in the sponsorship. Premier League and Coca-Cola Great Britain have unveiled plans for a new 3.5-year partnership, starting in January 2019. Making us the Premier League’s 7th partner. 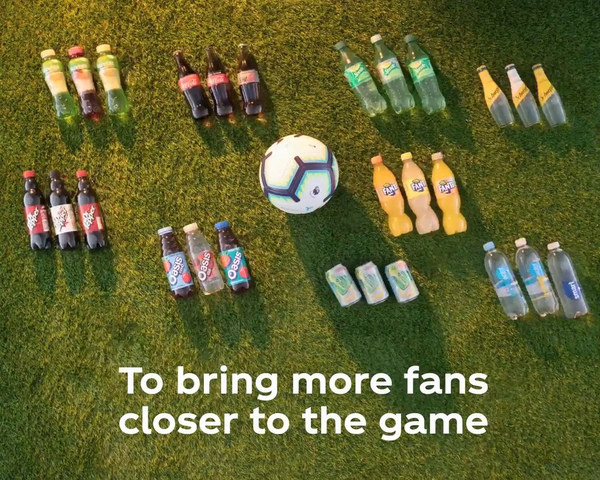 It’s the first time Coca-Cola Great Britain sponsorship will include multiple brands within our portfolio, offering football fans a choice of drinks for every taste and preference. There will also be the chance for fans up and down the country to get even closer to the Premier League experience and connect with the game they love. The partnership will give us the chance to enhance the fan experience through physical and digital promotions, as well as the first ever nationwide Premier League trophy tour, giving more people, more access than ever before. Jon Woods, General Manager of Coca-Cola Great Britain and Ireland says: “We have a long and rich history supporting football at all levels, from the grassroots to the world stage. The Coca-Cola Company has helped millions of supporters get closer to the action through partnerships, like our six-year sponsorship of the Football League which included high-profile campaigns like 'Win A Player' and 'Club Colours'. Coca-Cola is also a long-term partner of FIFA World Cup. Richard Masters, Managing Director of the Premier League is excited about the partnership. “Coca-Cola is a huge global brand that has an excellent track record of sponsorship in football, from multiple World Cups to several years partnering with the Football League. The Premier League and Coca-Cola Great Britain are both already working to promote sustainability and recycling, and will use the partnership to continue this with more details to come in early 2019. All of the packaging used by Coca-Cola Great Britain is already 100% recyclable and we are the largest user of recycled plastic in the UK. Got a question about the partnership? Then take a look at our Premier League Q&A.